Imagine a scenario when you have a job scheduled for a continuous period of time – for example a whole week. But at a point in time there are circumstances which demand you to reschedule the crew or even call a day off, thus intercepting the continuity of the job. The following article will explain the flexibility JGID offers in regards to such scenarios. If you need to divide a one week job by postponing the work for the last two days of the week for the next one for example, you would need to split the job and have two separate instances of the same project, scheduled in two different periods in the calendar. 1. First, go to the Calendar and locate the job you need to adjust. Hover your mouse over any of the two instances’ right sides to pop the two arrow cursor. Shrink the selected entry within the time frame of your first period. Note: The calendars of the staff, allocated to the job do not shrink automatically with the shrink of the job, so you need to repeat the action for any of the staff too. 2. 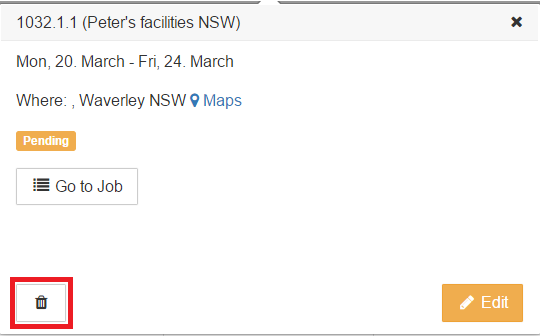 Click on the day cell into the Calendar you have selected as a start date of the second job instance. Option 1: New Event – choose this option whenever you need to create a task or assignment for a user, different from allocationg him or her to an existing job. This event could be a task, a day-off, an annual leave or something similar like a note of something relevant to the availability and performance capacity of the respective user/employee. You can edit these events by setting a title, location and description attributes, use color-code to make it stand out against the other jobs and events on the Calendar, choose repetition of the event or choose specific time-parameters – like is this a whole day or a part-time event. Option 2: Assign Job – choose this option whenever you need to schedule an existing job into the calendar – either a new job from the job queue or create another instance of a job, that has already been dragged and dropped into the Calendar. Start typing the number of the job you want to schedule. Since we are creating a second instance of an already scheduled job, we are typing and selecting the same number. From the Staff drop-down menu click on the names of the team members you need to allocate to the second instance of the job. Once you have made your selection, press the Assign job button on the right side of the window. 3. For better viewing purposes at this point you may switch the viewing mode from month to week. This will display all the names of the team members, which into month view mode are hidden behind a small annotation indicated by a blue colored plus and the number of additional team members not displaying in this view mode. 4. Expand the job and the allocated personnel up to the date cells required. 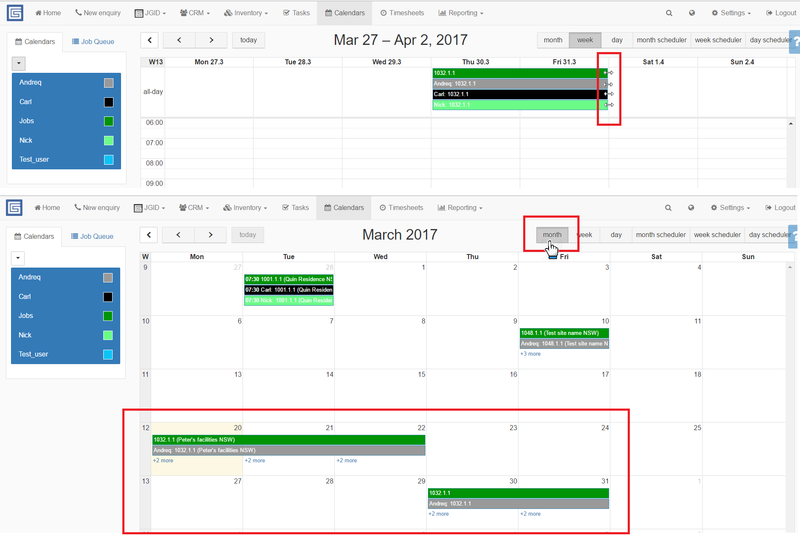 Return to calendar view mode to preview the overall scheduling of the two job instances. Now you have two instances of the same job – the original dragged and dropped entry and the splitted instance. 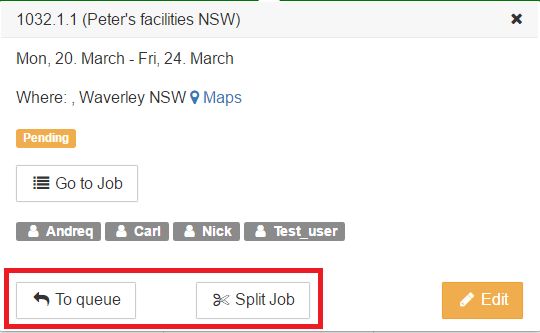 You can tell the difference between the two by clicking on each of them – the original entry has the “Split job” band “To Queue” buttons, while the second entry has just the “Delete” button displaying.